Worried about your ring? Do you find yourself taking your ring off and stashing it in your pocket or in a box at home? With Ring Wrapper, worry no more, and wear your ring! 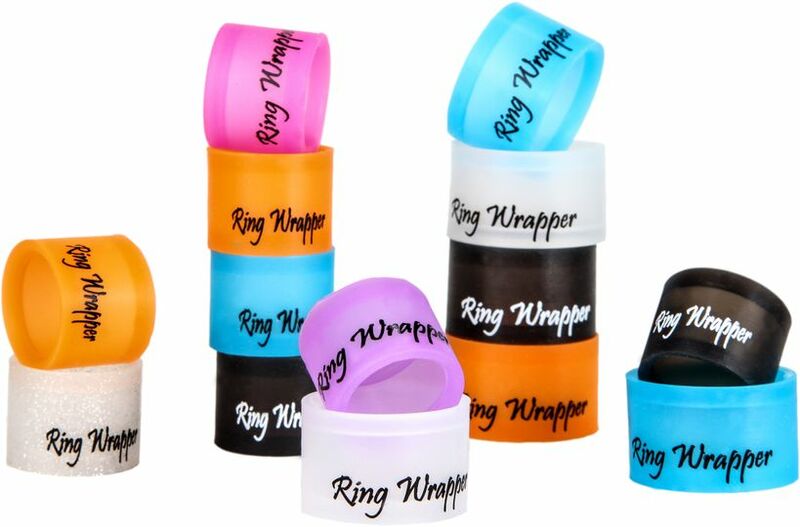 Ring Wrapper is a stylish and smart ring protector that keeps your ring safe on your finger. It's innovative design provides complete protection for your ring. Wear it any time you worry that your ring will fall off or get damaged. You'll love the style, protection and peace of mind. Your ring will love staying clean, safe and on your finger. Ring Wrapper is BPA and phthlate-free, and protects your ring from: falling off your finger, damage while working out, dirt, chemicals and lotions and from scratching other people and things. Slide it on before exercising, lifting weights, swimming, snorkeling and scuba diving, cleaning, DIYing and more! 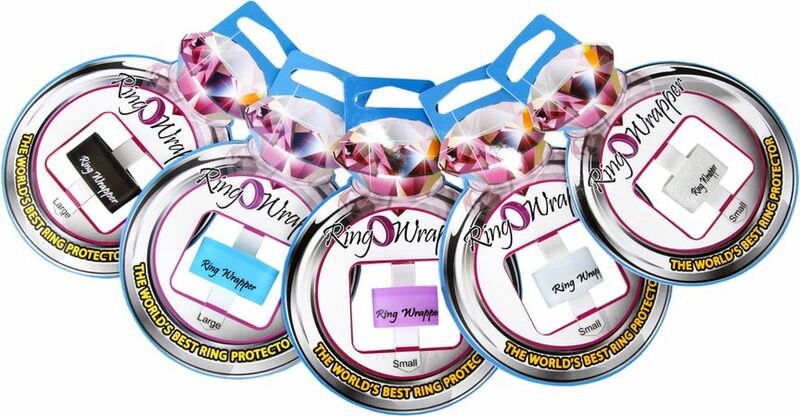 Once you try Ring Wrapper, you will never have to worry about your ring again! Most newleyweds worry about bringing and wearing their rings on their Honeymoon because they fear it will fall off, get lost or stolen. Add Ring Wrapper to your Honeymoon check list so you can relax, knowing that your ring will stay safely on your finger. 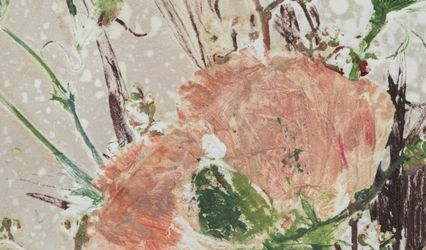 Ring Wrapper makes a thoughtful and practical engagement, bridal shower or wedding gift. 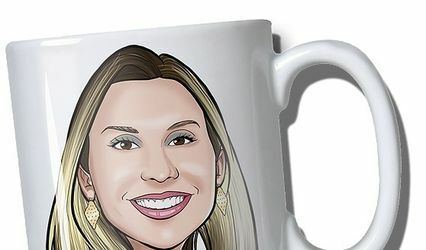 It is beautifully packaged and giftable, and comes in 8 fun colors. 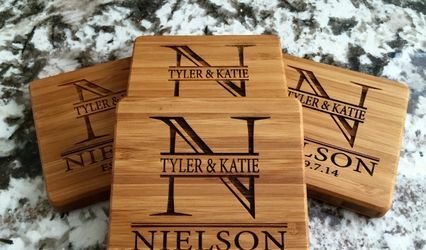 Order it online and get it shipped directly to yourself, or the Bride or Groom in your life! 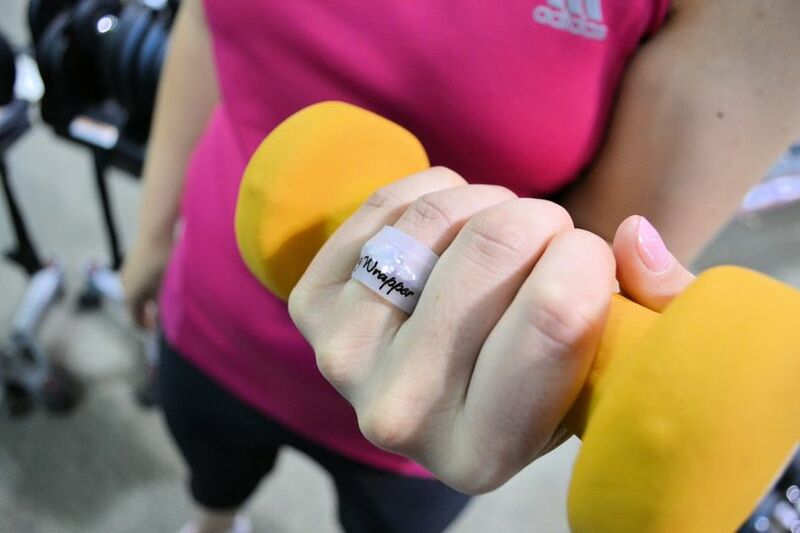 Wear Ring Wrapper when you work out to protect your ring from scratches and damage. Check out our website to see all of our fun colors!